Confused about what makes a deer a deer and a reindeer a reindeer? You are not the only one. Apart from being able to tell which one is Bambi and which one is Rudolph, many people have trouble saying more about these two species. But this is nothing we cannot fix with one good article. So keep reading if you want to know more about the difference between a deer and a reindeer. Deer are ruminant mammals of the Cervidae family. The family has two main groups, the Cervinae and the Capreolinae, and 90 species. The whitetail is the most common of species, and the one Disney chose to illustrate in the Bambi character. They are medium sized animals which you can find in the USA, Canada, most of the South American countries, and in Europe. They were introduced into countries like New Zealand, Cuba, Jamaica and many more. They live in meadows, forests, savannas and riverbed lands. Deer have thin legs with pointed hooves. Their fur depends on the species they are part of. 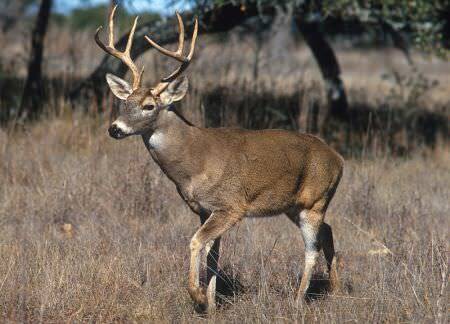 The whitetail has a reddish fur with white spots and a white tail. Since they are ruminants, they have four-chambered stomachs to better digest and absorb the nutrients. Males are the ones who have antlers, females don’t. Once a year, the buck (male deer) sheds the velvet off its antlers in late December to February, when all of the females have bred. Deer feed on twigs, leaves, grass, fruit and lichens. Being a medium-sized mammal, this makes them consistent prey for many predators. Wolves, cougars, bears, vultures and many other animals are on the list of predators higher on the food chain than the deer. However, man is the number one deer predator. Although they are hunted for sport, deer can easily be domesticated. Reindeer, or caribou, as they are known in North America, are a species of deer adapted to living in colder regions such as the Arctic and Subarctic regions, in the mountainous regions of Northern Europe, in Siberia and North America. There are about 10 subspecies of reindeer. They are large animals, being the second biggest deer species, right after the moose. The males can weigh up to 351–401 pounds and can measure 71-84 inches in length. One particular thing about reindeer is that both males and females have antlers, and they are the largest antlers of any deer compared to their body size. Both sexes shed the velvet off their antlers once a year. Reindeer have special hooves and noses, adapted to the colder climates they live in. Their noses have turbinate bones that give them extra nostril space. Thus, the incoming cold air is warmed before getting into the lungs. The hooves are adapted both to summer months, when they become sponge-like for more traction on the frequented grounds, and to winter, when the pads shrink and tighten. The rim of the hoof becomes exposed and serves to cut the ice and keep the animal from slipping. The fur of the animal varies according to its species and location. The reindeer living closer to Arctic regions have whiter fur. Another particularity of the reindeer is the fact that their knees click and that this is a sound which can be heard from far away. The bigger the animal, the louder the click is. This is also a way to show dominance of larger reindeer over smaller specimens of the species. Usually, reindeer consume lichens, moss, birch, mushrooms and leaves. In times of scarcity though, they are known to eat fish, eggs and small rodents. 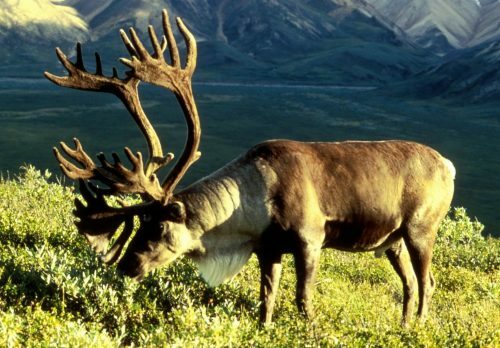 In their turn, since they are big animals and they travel in very big herds, the reindeer can only be attacked if singled out and by a very large animal like a bear. However, once again, humans are the ones benefitting the most off these animals. They are hunted or bred and used for transportation, milk, hide, meat and antlers. So what is the difference between deer and reindeer? Both deer and reindeer are part of the same family, also because the reindeer is a species of deer. Compared to the most common species of deer, the whitetail, the reindeer is bigger and adapted to living in colder climates. It has fewer predators and both its sexes grow antlers, unlike all other species of deer where only the male has antlers. Reindeer are herbivores, but they will eat small rodents, eggs and fish to survive, unlike other deer. Their bodies are bigger and stronger and their antlers are bigger. The whitetail, on the other hand, has a long list of natural predators, as it is a medium sized animal whose only defense is to flee.